A new website and campaign has been launched to promote bars and restaurants in Brussels that are welcoming to breastfeeding mothers. Cafes are invited to show their support by registering on breastfriends.brussels - and in doing so will receive a free baby changing table and nursing pillow to make available to their customers. 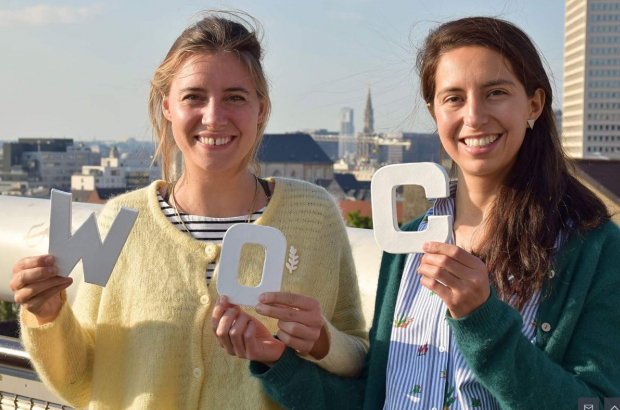 The site, which currently lists about 20 breastfeeding-friendly venues, has the backing of Brussels region secretary of state for welfare Bianca Debaets, the Flemish Community Commission VGC and mobile midwife service Wheel of Care. According to RTBF, some studies indicate that about half of new mothers feel uncomfortable breastfeeding in public and that the practice is frowned upon in some venues, where mothers are told to cover themselves up or feed in the toilet. "Breastfeeding should be seen as a normal gesture in places to eat and drink, because there is nothing more natural than breastfeeding your child," said Debaets. So far most of the venues listed on the site are in downtown Brussels. They include Chicago Cafe on Rue de Flandre, Monk, Muntpunt Cafe, Beursschouwburg and the Mima museum on the canalside in Molenbeek.